Thirumohur is one of the 108 Vaishnava Divya Desas. The presiding deity Himself led Nammalvar to Vaikunta. Thirumohur is the Divyadesa where Perumal took the Mohini (enchanting woman form). A single visit and prayer in the temple guarantees salvation to the devotee. The Ksheerabthi Nathar and Mother in the shrine are in a praying pose before the presiding deity and this is known as Prarthana Sayanam. Once Devas wanted the boon of ‘immortality’. Seeing Vishnu grant Devas their wish, the Asuras too wanted a share of the nectar, leading to a fight between the two. To protect the devas, Lord Vishnu took the form of a ‘Mohini’. Lost in the beauty of the ‘Mohini’, the asuras forgot about the nectar. And thus Vishnu successfully shared the nectar exclusively with the Devas. Lord Vishnu helped recover the Vedic Scriptures from two Asuras - Madhu and Kaidapan who had stolen it from Brahma. It was at this place that Brahma performed daily poojas, directed at Lord Vishnu, as a gesture to thank the Lord for fighting the Asuras and securing back the Vedic Scriptures. It is said that Brahma wanted to see the Lord as ‘Narayana’ and not in his Mohini form. 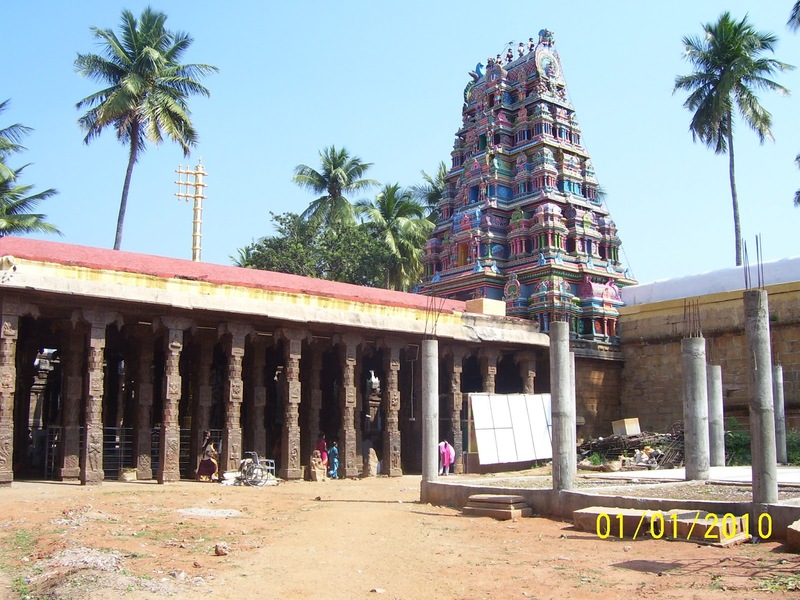 Hence, it is said that Lord Vishnu appeared before Brahma at this place as Kaalamegha Perumal. 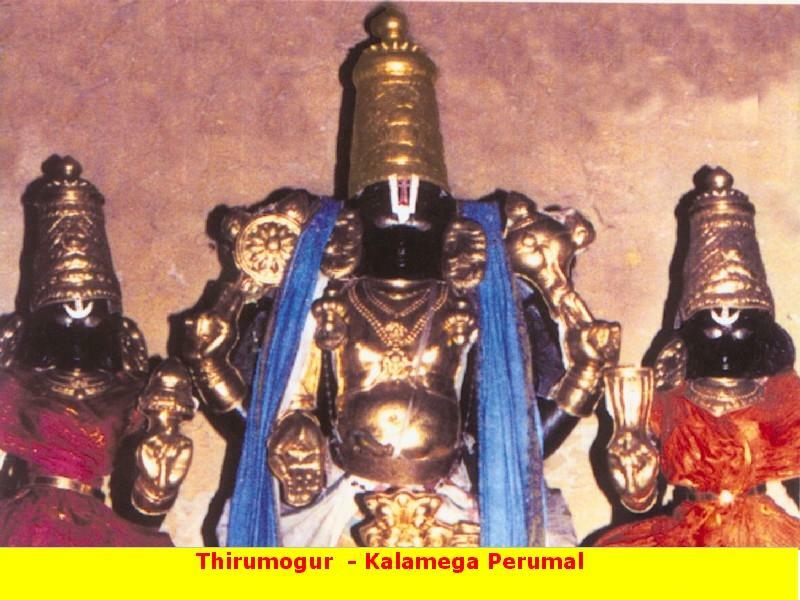 Kaalamegha Perumal is said to be a close friend of the devotees and is said to be one who provides direction and guides the devotees who come to him for Moksham. Hence he is also referred to as ‘Maarga Bandhu’. Sudarshanar (Chakkarathalwar) has 16 hands with 16 weapons, rolling feet and the idol bears holy mantra letters. This is the only temple where Sudarsanar has all these special aspects. Though there are Sudarsanar shrine in other famous Vaishnava temples as Srirangam, Kancheepuram and Srivilliputhur, this is the only shrine where He appears with such holy letters. Behind the Chakkarathalwar is Yoga Narasimhar known as Narasimha Sudarsanam. The shrine is very famous as the expectations of the devotees for business development and marriage alliances end in success. There is an inscription containing 154 letters signifying Hiranya Samhaaram as well as 48 images of different Lords. This is the only Divya Desam with such sacred letters and images inscribed on Chakkarathalwar. Wanting to see the Lord churning the ocean to secure the nectar, Sage Palasthiyar undertook penance here. Pleased with his prayers, Lord appeared before him and gave him darshan. Hence there is a separate sannidhi for the Lord as ‘Thirupaarkadal Naathan’. Shiva was attracted to the Lord in the Mohini form and wanted to embrace her. Hence, Lord Vishnu actually created another Mohini here at this place. 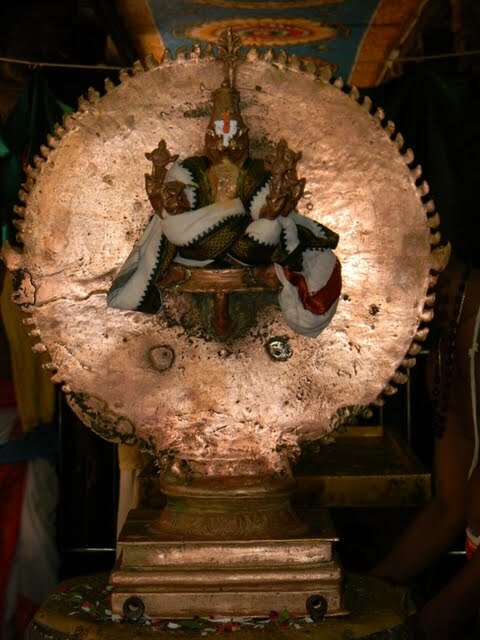 Another feature here is that Lord Adiseshan is fully adorned with gold ornaments. 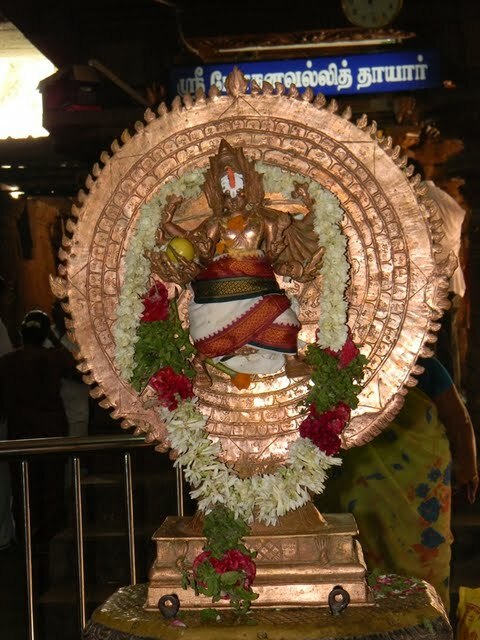 Festival: 10 day Vaikasi Brammotsavam (May-June), Vaikunta Ekadasi (December-January), Gajendra Moksham in the Masi Poornima day in February – March, 2 day Panguni Thirukalyanam (March-April), Krishna Jayanthi are the main festival observed in the temple. Also all new moon days, both Tamil and English New Year days, Deepavali and Pongal are the festival days in the temple. Phone: 0452 - 2423 444 ; 98654 17902. Govindan Bhattar @ 95000 43011.